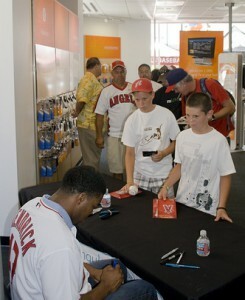 Let’s assume you’ve been able to get a major league baseball player to sign a baseball or other item. You cherish it because it’s yours and you know who signed it! 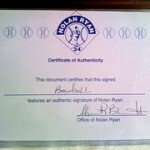 Authenticating baseball memorabilia such as this could prove to be very important. Just remember that at some point in the future, someone else will become the owner of this autographed item. That person may not value it the same way you do. In fact, they may not want it and may choose to sell it. Will they be able to sell it? When that person attempts to sell the item, what proof do you have that it was actually signed by the player who’s signature is on the item? Remember that if the signature isn’t verified and officially authenticated, it may not be sellable at all. There are a lot of fakes and frauds who peddle signatures out on the market today. So, the best thing you could do for your family or friends is to have the signature authenticated. Where do I get autographs authenticated? If you obtained the signature at a sports collectible show or similar venue, check to see if it is possible to get a Certificate of Authentication (COA) right there. Often times, the company that holds the rights to sell a player’s signature will be there also and can issue the COA. If this isn’t the case, then select a reputable organization that authenticates the type of memorabilia you want authenticated. You can do some research via the internet to find out how much it will cost to send the item and to authenticate it. Autograph Certification Experts – ACE (autographcertificationexperts.com). PSA and JSA appear to have the strongest reputations and track record among these organizations. In addition to authenticating a signature, these companies can also grade an item such as a baseball. How do I submit my item? Once you have selected an authenticating organization, follow the process described on the organization’s website to send the autographed item to them. Look up the fees for authentication, grading (if desired), and shipping of the item. Download and print the appropriate submission forms. Package your item for shipment. 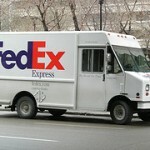 Send the package to the correct address. When you ship your item, make sure you purchase appropriate insurance. If the item is authenticated, the organization will return the item with a COA. And what will this cost? Cost of authentication will depend on the authenticating organization and the value and type of item being authenticated. Baseball – $20 to $500 for a single-signed ball. Multiple signatures increase the cost. Examples include Miguel Cabrera $30, Melky Cabrera $25, all other current players named Cabrera $20, Derek Jeter $50, Mickey Mantle $100, Christy Mathewson $250, and Babe Ruth $300. Photographs – $35 to $50. Bats – $50 for bats valued under $500 (tier 8), up to $1,000+ for bats of increased value (tiers 1-7). Gloves – $95 for gloves valued under $1,000 (tier 5) up to $875 for gloves valued over $25,000 (tier 1). Let’s take PSA as an example since they are one of the leaders in this field. Suppose you submit an autographed baseball to PSA. 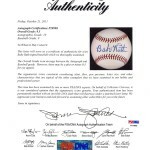 They will perform a two-step process that includes examination of the baseball and, if deemed to be a genuine signature, anti-counterfeiting procedures that include an invisible ink tag on the ball plus a serial number label. If the signature is authentic, PSA will send certification to you. The certification will be in the form of a 3×3 certificate, a COA (Certificate of Authentication), or LOA (Letter of Authentication), depending on the level of the authentication fee. If PSA decides that the signature is authentic, the baseball will also be graded and will be returned to you in a UV coated case. Both the signature and the condition of the ball are graded. Grading levels are 1-10 with 1 = poor or fair, 3 = very good, 5 = excellent, and 10 = gem-mint. Note that if you receive an LOA, it will include grading details. What if they tell me the signature is a fake? If it is deemed to be a fake, you’ll get a letter stating so. This will probably come as a shock to you since you were there when the athlete signed it. Unfortunately, this can and does happen occasionally and you have little recourse other than to send your item to a different authenticator. Remember that authenticator findings are simply opinion. Even though all signature authenticating organizations utilize a multi-step process, the methods that they use are not even close to exact science. So what? How did this help? Recognize that non-authenticated items probably have little to no value if someone tries to sell them. This is because there is no proof regarding genuineness of the signature. Authentication guarantees the buyer that this signature is genuine. In doing so, it significantly increases the value of the item, essentially ensuring that the item will be valued on the open market as it should be. Keep in mind that authenticating baseball memorabilia may be the key to having your prized memorabilia remain in someone’s collection. If it has no value to the person who inherits it then most likely it will end up being thrown out. You wouldn’t want that to happen, would you? I can understand the reasoning behind what you say. Several of my friends have baseballs and other items signed by players. To them they are treasures. I’m not sure someone else would want them though. How much could these be worth in the future if they were to have them authenticated? There are a lot of factors involved in the value of the baseball. These include how clear the signature is, the condition of the baseball itself, and of course, who signed it. If the player ends up being a star, then the value of the ball will be much higher. There are any number of sites that sell memorabilia. One of them, D&M Collectibles, has lots of baseballs. Check out the value on some of the balls they have for sale.